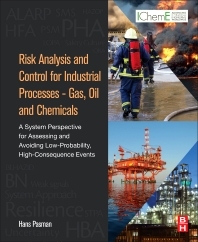 Risk Analysis and Control for Industrial Processes - Gas, Oil and Chemicals provides an analysis of current approaches for preventing disasters, and gives readers an overview on which methods to adopt. The book covers safety regulations, history and trends, industrial disasters, safety problems, safety tools, and capital and operational costs versus the benefits of safety, all supporting project decision processes. Tools covered include present day array of risk assessment, tools including HAZOP, LOPA and ORA, but also new approaches such as System-Theoretic Process Analysis (STPA), Blended HAZID, applications of Bayesian data analytics, Bayesian networks, and others. The text is supported by valuable examples to help the reader achieve a greater understanding on how to perform safety analysis, identify potential issues, and predict the likelihood they may appear. TEES Research Professor, Mary Kay O'Connor Process Safety Center, Texas A&M University, Texas, USA., Emeritus Professor, Chemical Risk Management of the Delft University of Technology, and associated member of the Dutch Council for Life Environment and Infrastructure in the Netherlands. Professor Pasman graduated in Chemical Technology at Delft University of Technology in 1961, and finished a Doctor’s thesis in 1964 while working for Shell. He joined the Dutch Organisation for Applied Research, TNO, in 1965, initiating and performing research in reactive materials, gas, dust and energetic material explosions, investigation of industrial accidents and risk analysis, while also managing organizational units. He has been a member of the Working Party on Loss Prevention and Safety Promotion in the Process Industries since 1972, and chairman from 1986-2004. In this latter capacity he was instrumental in founding the European Process Safety Centre in 1992. He has also been chairman of the International Group on Unstable Substances (IGUS) for 10 years, of the European Study Group on Risk Analysis (1980-1985), and of a NATO Group on Explosives (1982-1992). At the Delft University of Technology he led a multinational project on gas explosion fundamentals at elevated pressures and temperatures (2003-2008). In 2007 he co-organized a NATO advanced research workshop on Resilience of Cities to Terrorists and other Threats. From 2004-2012 he was a Member of the Dutch national Advisory Council on Hazardous Substances. Mary Kay O'Connor Process Safety Center, Texas A&M University, Texas, USA.